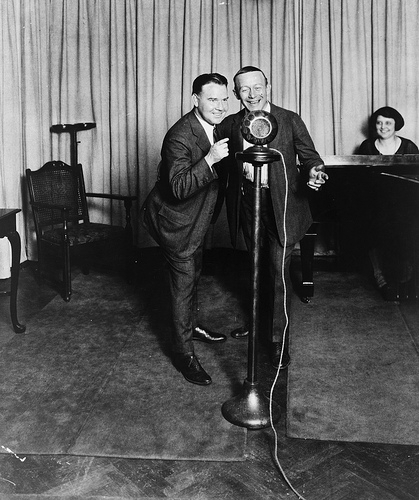 Tenor Billy Jones (1889-1940) and bass/baritone Ernie Hare (1881-1939) sang as The Happiness Boys in a radio program of the same name which ran in the early 1920s. Dave Kaplan was usually the team’s pianist on records. Fannie Heinline, regarded as the best American female banjoist at the turn of the century, made guest appearances on The Happiness Boys as banjoist and vocalist.